DataSunrise Database Performance Monitoring for Azure SQL offers a fairly comprehensive overview of DBMS functioning and its capabilities. It facilitates your understanding of issues that cause malfunctions and disruptions to your database. Having analyzed data logged by DataSunrise Data and Database Security Suite, you will be able to trace and troubleshoot any Azure SQL performance problems. The tools monitor database performance thus simplifying Azure SQL operation assessment, contributing to an immediate identification of bottlenecks during database operation as well as operating delay causes. With Database Performance Monitoring Tools you will be able to examine initiated scripts and detect the one that causes problems. You may also evaluate queries executed in transactions and eliminate vulnerabilities that endanger Azure SQL running. Analyze the query log, for instance, to identify redundant or unexpected by a developer queries. Examine the query result log and bring to the surface vulnerabilities that may occur during application functioning. This may be handy, when logging in an application itself is not enough or when there is no application logging altogether. Inspect query change dynamics, consider execution frequency of INSERT/UPDATE/DELETE/SELECT types, study diagrams clarifying how they change in time, etc. 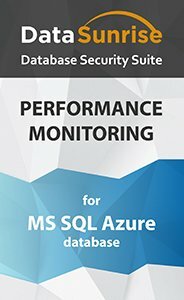 other Azure SQL behavior information required for troubleshooting.